We just posted this on the blog -- but, as always, we wanted to post it here on the forums for easy reference as well. Enjoy! Good news! Our Nosgoth "State of Play" address is a little early this month as we prepare our official developer stream for tomorrow and a really big content update next week! But before we get started, here's a quick recap of the four weeks that have passed since our last sneak preview. In early February, we introduced the new Daily Rewards program to thank players for waging war every single day, and then followed it up with multiple Legacy of Kain*-themed Player Banners just one week later. One of our most exciting additions, of course, was the quick (and successful) alpha test our upcoming "Capture the Body" game mode -- which is essentially Nosgoth's version of the classic CTF gametype, while our special Double XP event last week celebrated the very-real solar eclipse that captivated more than half the world on March 20. Starting earlier this month, we began rolling out the very high-profile anti-cheat system known as Fair Fight from GameBlocks. 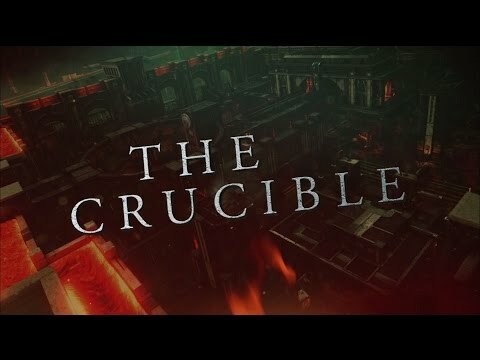 So excited, in fact, that we'll be going in-depth with "The Crucible" on our Twitch developer stream tomorrow, March 27, at 11:30am PDT/ 6:30pm GMT. In the meantime, don't forget to check out the latest Crucible preview video embedded below. Oh, and as a special treat, we'll be giving a first look at both the Scout and Alchemist Prestige skins on tomorrow's stream! The only thing I have mixed feelings about is the leaver penalty. I know people have been complaining about it for ages, but I really don't think such a thing should be implemented before an option to surrender and a ranked playlist. I think it can potentially make some matches even tier. But, eh, we'll see. It was. We should be able to talk about it on the stream tomorrow. If we forget to bring it up on our own, just give us a nudge/ reminder during the broadcast. Last edited by Sasha_Vykos; 27th Mar 2015 at 12:34.